We offer rebates on Heartgard. Nexgard and Frontline are buy a box and get a free dose. Call us at 605-722-5600 to take advantage of this exclusive offer. We specialize in using this advanced tool to painless diagnose many conditions. If you live in Spearfish or the surrounding area, then you have picked the perfect veterinary practice. Dr. Warren Whalen is a caring, licensed veterinarian with over 34 years of experience in small companion animal medicine. 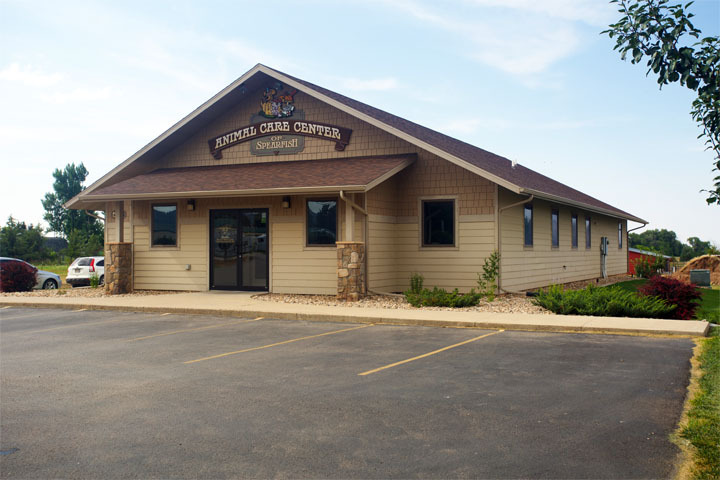 Animal Care Center of Spearfish is a full service animal hospital that cares for dogs, cats and some exotics. Together, our newest associate Dr. Czerny, Dr. Whalen and the Animal Care Center staff are dedicated to give the best possible care for both you and your pet. Dr. Whalen offers technologically advanced diagnostics combined with years of experience so whether your pet needs a routine vaccination, surgical procedure, or a medical workup, you will be comfortable knowing we can help. The Animal Care Center is equipped with an updated in house laboratory for rapid and accurate blood results. We offer digital radiography, various surgical procedures, EKG, rigid and flexible scoping, and ultrasonography. Dr. Whalen is trained in both abdominal and cardiac ultrasound, and has over 24 years of clinical experience with imaging dogs and cats. Beyond first rate pet care, we make our clinic comfortable, with a calm and clean environment so your pet can relax while waiting to meet the staff. We provide a number of resources for you to learn about how to take better care of your pets. Browse around and look at our articles and pet videos. The best veterinary care for animals is ongoing nutrition and problem prevention. If you want to ask a question call 605-722-5600 or email us and we'll promptly get back to you. Our Spearfish veterinarian office is very easy to get to, and you can find directions on our Contact Us page. You can also subscribe to our newsletter which is created especially for Spearfish pet owners. In between your veterinary visits, your pet will benefit from you reading these free informative articles. At Animal Care Center of Spearfish, we treat your pets like the valued family members they are. You care, so we care. Our team is committed to educating our clients in how to keep your pets healthy year round, with good nutrition and exercise. Animal Care Center of Spearfish stays on top of the latest advances in veterinarian technology and above all, remembers that all animals and pets need to be treated with loving care in every check-up, procedure, or surgery.